Newswire #74 – 31st May 2016. Post-MCM weekend notes and much more!. It came, it saw, we had lots of big news throughout the weekend and MCM London Comic Con is in the books. Today this Newswire will be bringing you full up to speed with our announcements and some additional information too! Plus some other tidbit to catch you up on as well. Read on below for the latest. ~ First of all, a massive thank you from everyone at Team Anime Limited to all who visited our booth and attended our panels at MCM London Comic Con this past weekend. Want more information on each? Click on their respective name above to be taken to our full unboxing. ~ Our next releases arrive this coming Monday (6th June) as we bring you Rage of Bahamut: Genesis on Ltd Collector’s Edition Blu-ray and standard DVD, as well as Lord Marksman and Vanadis on Ltd Collector’s Edition Blu-ray and standard DVD. You can see a full unboxing of our Rage of Bahamut: Genesis release HERE, and Lord Marksman and Vanadis HERE. ~ Then on 13th June Tokyo Ghoul√A (Season 2) is available on Ltd Collector’s Edition Blu-ray and standard DVD. We’ll have a full unboxing of Tokyo Ghoul√A coming this week for you. Stay tuned for that. ~ Sword Art Online II: Part 4 will be getting released on 27th June. It’ll be be available on both Ltd Collector’s Edition Blu-ray and standard DVD. 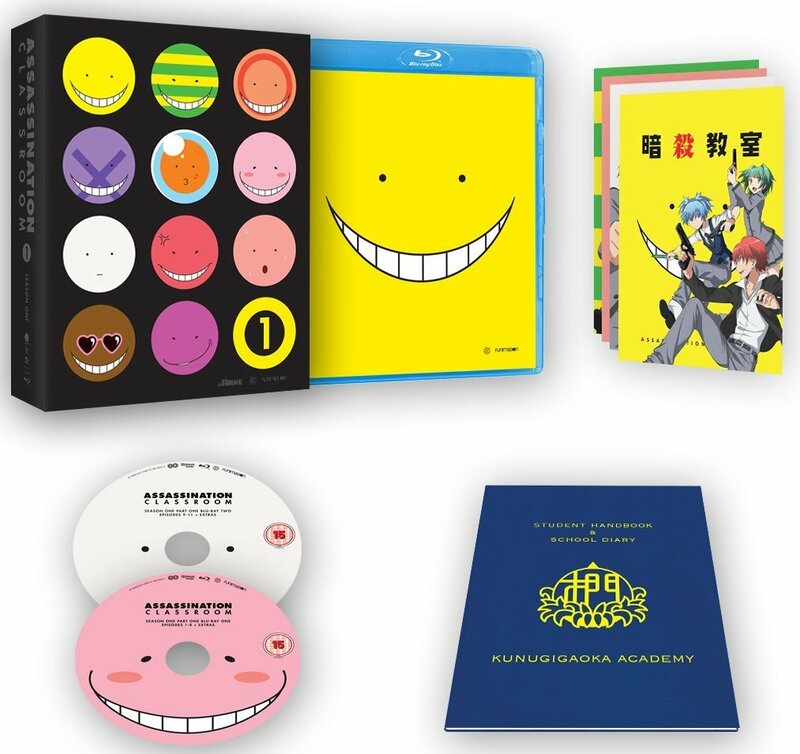 You can now pre-order this from the likes of Amazon, Base, Anime-On-Line and our web shop. Fallout may be the wrong word, but it’s now time to bring you completely up to speed on what was announced across this past weekend as there was A LOT we had to say. 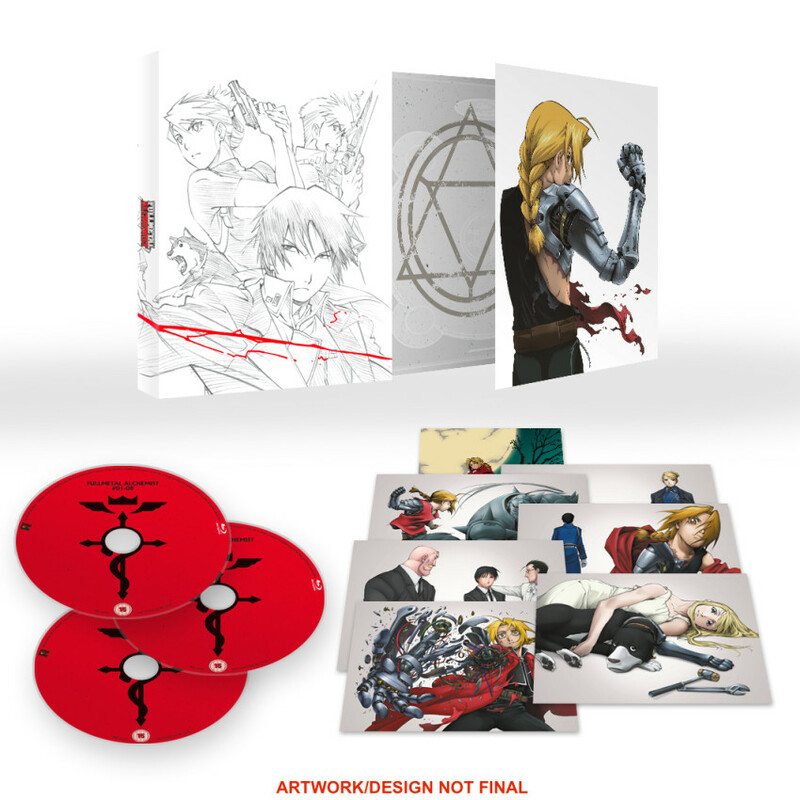 And we revealed the juicy details about our Fullmetal Alchemist Ultimate Edition Blu-ray release, coming in October 2016. 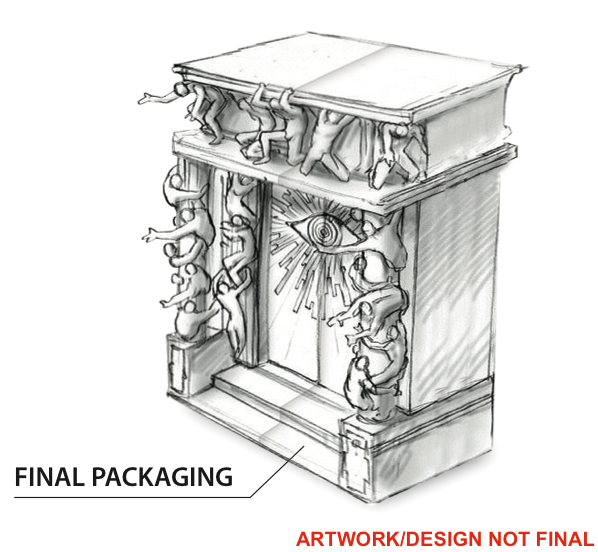 Inside the gate there will the entire series, spread over two boxes in a our traditional Collector’s Edition style packaging with the half the series in each. In addition to those, there will also be a 260-page art book included with the Ultimate Edition that will act as the definitive companion to the series. As if that wasn’t enough, pre-ordering this before 1st October will also get you a custom Alchemist certificate, with your name and a special Alchemist name as well. 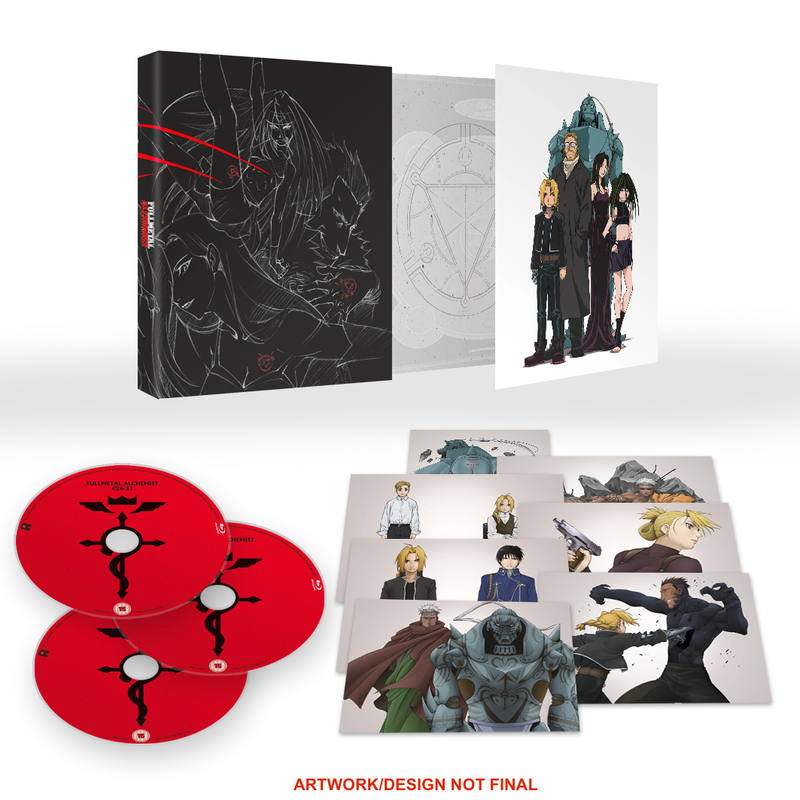 You can read about this, and pre-order this, at a special micro site we created fullmetal.alltheanime.com – you can also check out our UK Exclusive trailer below. Stemming from all of the announcements above it’s time to give some additional information about each. These will each be getting a Blu-ray and DVD release with movie 1 looking to be released before the end of the year. No timeframe on the remainder of the movies at this time. No English language dub has been produced for these so we can confirm they will each be in Japanese with English subtitles only. As this is currently airing this season, we’re sure you can appreciate there will be a bit of a wait for this. All we can say at this time it will be released in 2017 and it will be on Blu-ray and DVD. Tentatively we’re looking at a Q4 release for this on both Blu-ray and DVD. We’re looking to make this avaialble as close the release in the USA as possible, but we can confirm this will be on both Blu-ray and DVD. We should have more details soon so please stay tuned. As this is currently airing, all we can say at this time it will be released in 2017 and it will be on Blu-ray and DVD. Again, as this is currently airing, all we can say at this time it will be released in 2017 and it will be on Blu-ray and DVD. We’re looking bring this over as quickly as we can, but don’t have a lock on dates at the moment. All we can say right now is that we’ll be releasing the series on both Blu-ray and DVD. This will also be a subtitle-only release. More details to follow as we can share them. As we mentioned this will be released as an Ultimate Edition set and today we can confirm the Ultimate Edition will contain the series on both Blu-ray and DVD. There will also be a standard DVD version available at the same time as the Ultimate Edition. Release date is tentatively scheduled for late Q4 this year. More info as we can bring it. This will be released on Blu-ray and DVD. 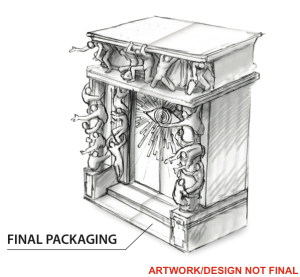 Tentatively looking to be released in late Q4 2016/early Q1 2017. This will be getting released on Blu-ray only over two parts with Part 1 tentatively set for release in Q4 this year. More details as we can bring them. This will be getting released on both Blu-ray and DVD tentatively scheduled for Q4 of this year. We can confirm this will be getting released, tentatively scheduled for Q4, on Blu-ray only. Also for those not aware, no English dub was ever created for this series so this will be a subtitle only release. Yes there will be but it won’t be until after the Ultimate Edition Blu-ray set has been released. More details to follow. The two Collector’s Edition Blu-ray set will be available after the release of the Ultimate Edition. Date is TBC at this time, but more details will follow. No, we only the have the rights to the 2003 TV series specifically. 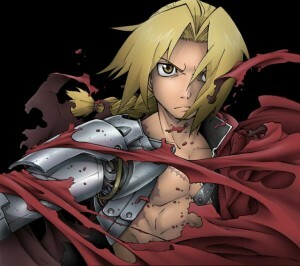 Will your release include Fullmetal Alchemist Brotherhood? No. We do not own the rights to this series, only the 2003 series. No, pre-orders for this are running exclusively through AllTheAnime.com and Zavvi.com. If there are any additional units remaining following the pre-order period then they will be made available to other retailers to stock. When is payment taken from ordering on your shop? Payment on all orders, be it a pre-order or an in-stock item, is taken with 72 hours of the order being placed. Please have a read of the FAQ at our web shop HERE for more details. The pre-order bonus certificate, how is the person’s name, not the Alchemist name, that will be displayed chosen? If ordering from our AllTheAnime.com web shop, the name of the person will be based on the name specified on the delivery address. This will also apply to orders from Zavvi. – If you want to change the delivery address name on an order placed at AllTheAnime.com, email Jeremy on Jeremy@AllTheAnime.com with your order number and the name you want it changed too. – If you want to change the delivery address on your Zavvi, you need to do this on your order on Zavvi’s site specifically. We don’t not have any control on that. NOTE: If you have already sent an email about this subject, we’re endeavouring to answer these this week. We appreciate your patience. With MCM London now in the books, here’s an updated list of upcoming events we’ll be at in some capacity. More details for each to be confirmed soon! And wraps up this edition of the Newswire! Really pleased about the Tatami Galaxy pickup. If the subs you use have a similar level of detail as those on Funimation’s youtube page it would make for a further improvement on the Beez DVDs, which have a lot of untranslated signs. I agree, great pickups. Much better than the hilariously bad Comet Lucifer. I’d love to see Death Parade out ASAP. I don’t think Funimations dub was that great, so if you can release sub only for this sooner, to get it out the door sooner. You’ll probably make a lot of people happy. 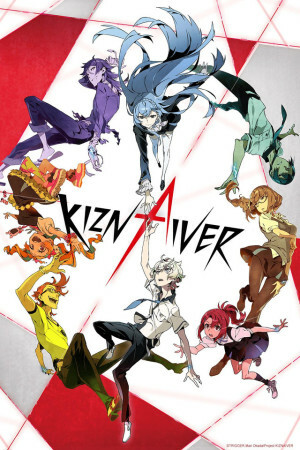 Please, can you tell me if you’re still releasing Kiznaiver and Re:Zero this year?